← Stand Down-Mars Retrograde and More! Hail to the Maiden of Fire and the Youth of Earth! All Hail to astrological Beltane and the parting of the veils of new life! 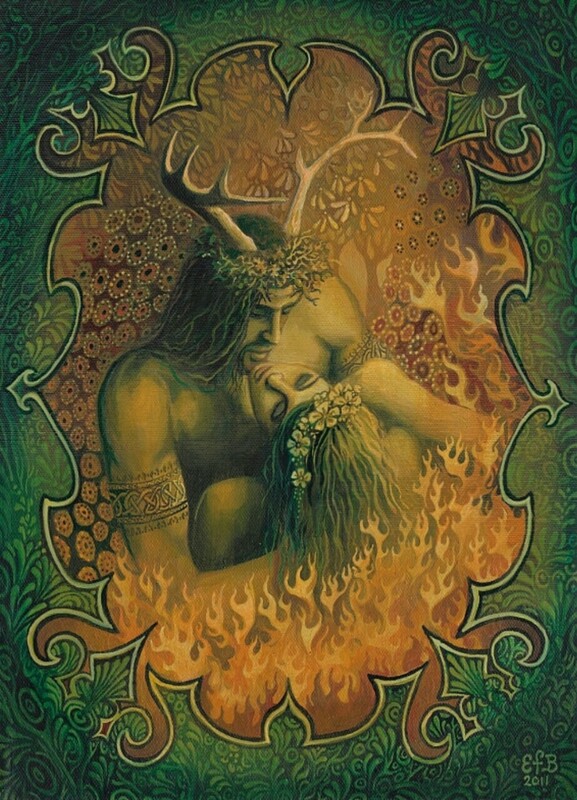 In many traditions the date of celebration for Beltane is May 1st and that of its counterpart, Samhain is Oct. 31 or Nov. 1. Although these dates have accumulated much astral energy from repeated use, if you wish to follow the astronomical approach, which is where the origins of the cross-quarter days lay, those dates are premature. Beltane falls mid-point between the Vernal Equinox and the Summer Solstice. Each of the cross-quarter Sabbats – Beltane, Lammas, Samhain and Imbolc fall within that half way point between an Equinox and a Solstice. And, for those ancient practitioners who strongly followed the correlate of Solar tides, this placement provided very specific energy in relationship to the line of the Sun’s outpouring onto Earth, its placement during these times between and what was called into action in celebration, ritual and devotion.